He’s pretty cozy with the Obamas, too. 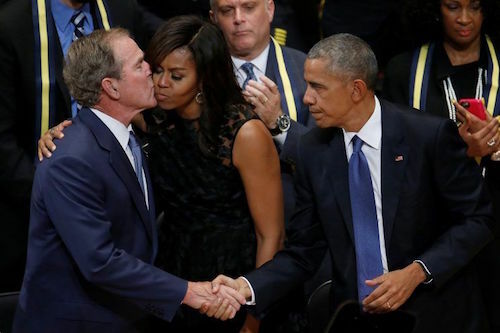 Here is Dubya slipping a little candy to Michelle during that Farce of a Funeral. Of course, that isn’t the first time they’ve been cozy. 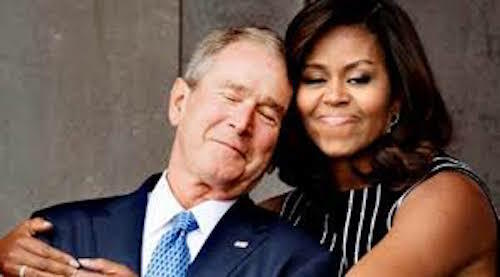 Most memorably, the two were photographed as Michelle Obama embraced former President Bush during the inauguration of the Smithsonian’s National Museum of African American History and Culture in September 2016. 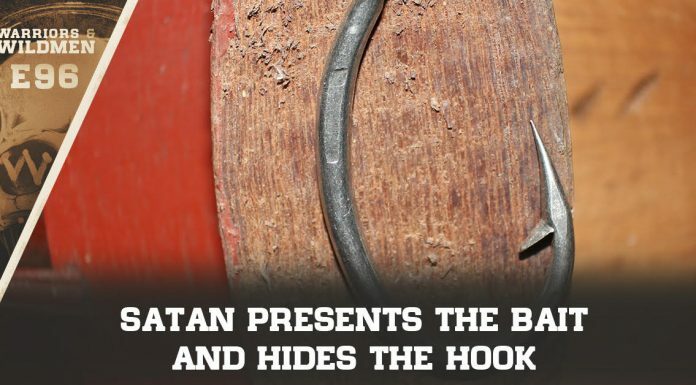 The image went viral and is often considered the definitive snapshot of their relationship. A few months earlier, Bush and Obama were seen holding hands and singing to one another during a memorial service for five slain police officers in Dallas. You may remember that funeral. Naturally, Obama took some cheap shots at that one, too. Others have noticed how cozy Dubya and Michelle are getting. Has anyone noticed, whenever there is a State gathering, Michelle Obama and George Bush are ALWAYS sitting next to each other. Chatting and giggling with one another. What's going on there? Laura/Barack y'all don't see this?! And do I even WANT to ask what was happening in this picture? Whatever it was, sure had the three of them grinning like idiots. 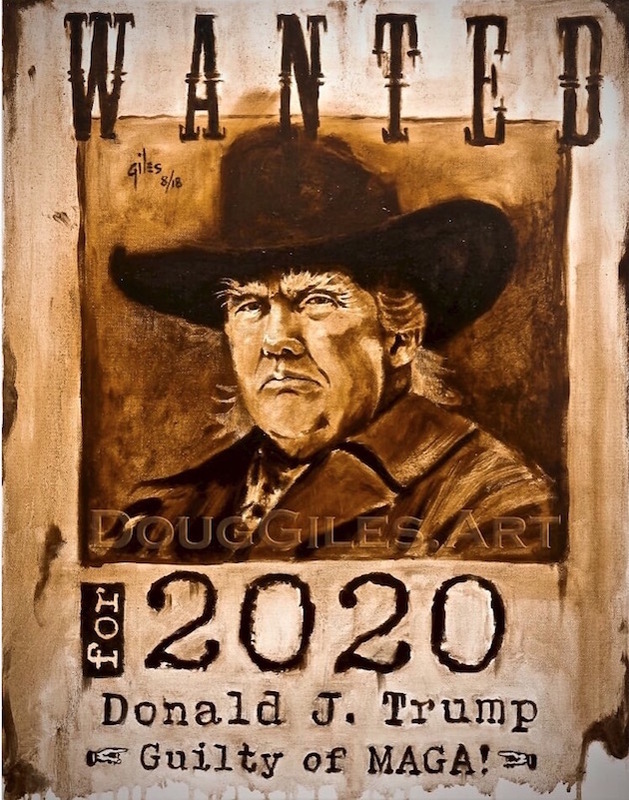 It’s not just the ‘Impeach 45 Crowd’ that Trump is ‘Wanted’ By… he’s wanted by a lot of MAGA voters who love what he’s done so far. He has appointed judges who believe in the Constitution as a foundational document, not a ‘wax nose’ to be bent into whatever shape suits an activist’s purposes. He has smashed the so-called Caliphate, and ISIS no longer has a regional State. He has deported a real-live Nazi prison guard. (He’s not very good at being ‘literally Hilter’.) And the Economy is on Fire!